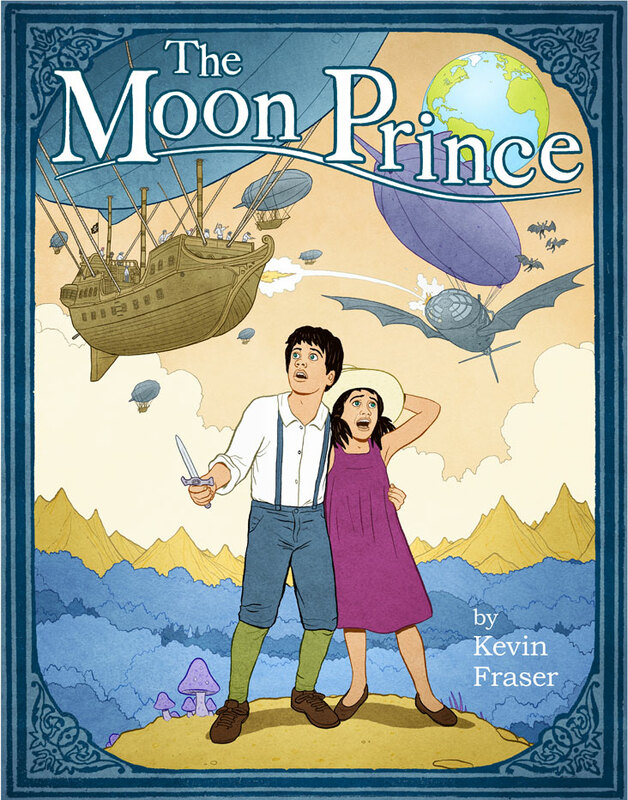 The Moon Prince by Kevin Fraser: Summer Revisions! It's that time of year where I often take a little summer break from The Moon Prince. We'll be back in late September with new pages but in the meantime I'm going to be running newly revised and recolored versions of the entire book, a page a day from Monday to Thursday (and Fridays too until new pages start again). I'm doing this to get all the pages looking their best and looking consistent, from beginning to end - so that I can start shopping The Moon Prince around to publishers now that it's almost finished - we've only got about 70 pages to go! My pleasure - thanks for reading! Enjoy your break! I look forward to the return of the new pages and the book!